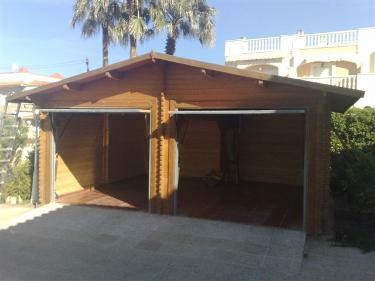 Solid timber garages for self assembly in Spain, These superb quality garage buildings are supplied all over Spain for easy self build. 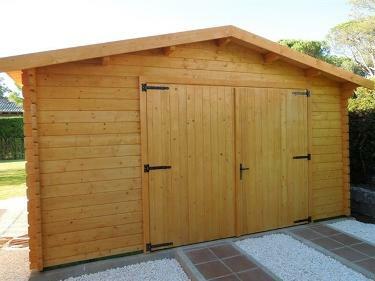 Supplied in single, double or triple car size these timber garages can be self built over a few days. With interlocked corners for strength these outbuildings can be used for many purposes with a variety of doors to complete the look. 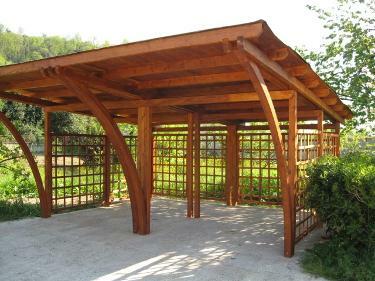 This smart new garage building is built in solid 43mm timber. 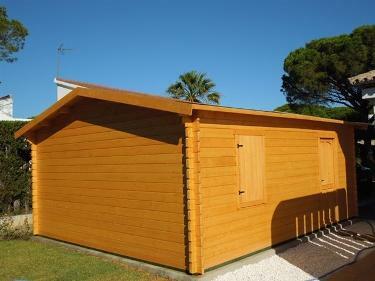 With large double doors the garage is an oversized for a classic car enthusiast. 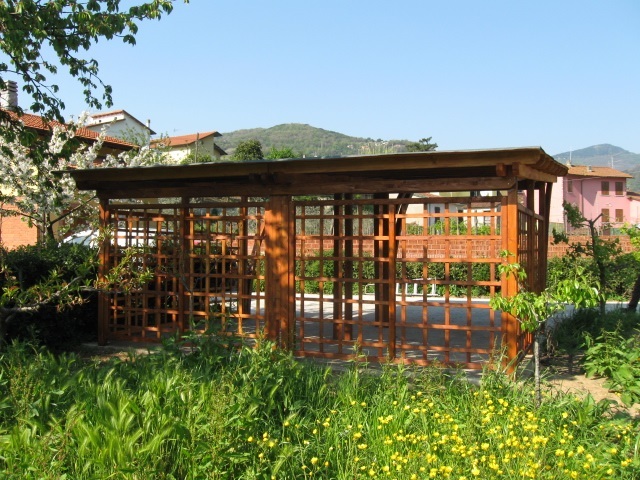 With interlocking corners for strength we supplied the floor joists, roof joists, walls and doors together with the metal work and all the screws to fix the garage together. Double garage kit to build yourself. 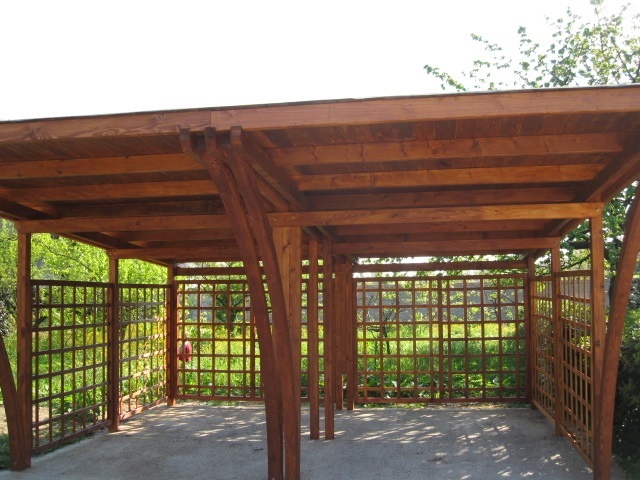 All our solid timber buildings are slow grown and guaranteed for quality. They are pre stained and treated so once built you can get on and enjoy. 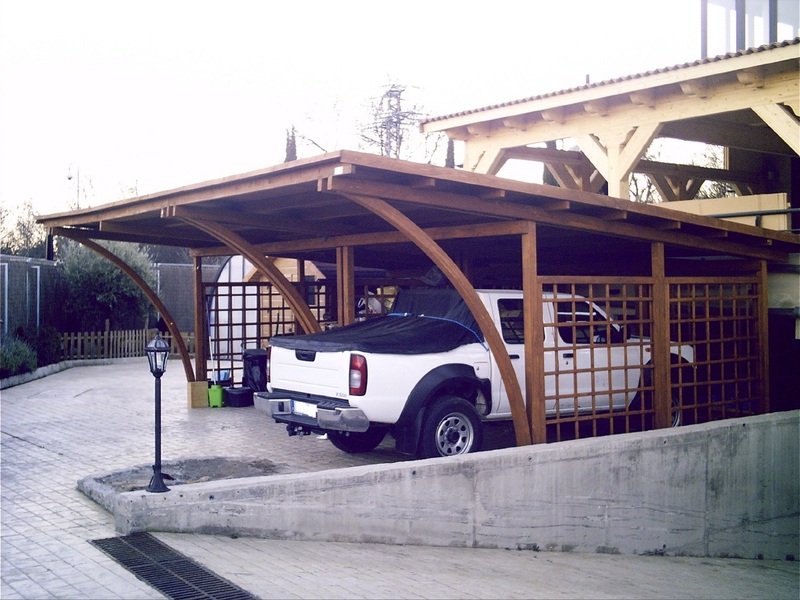 This solid timber car port is designed for self assembly with easy step by step instructions. 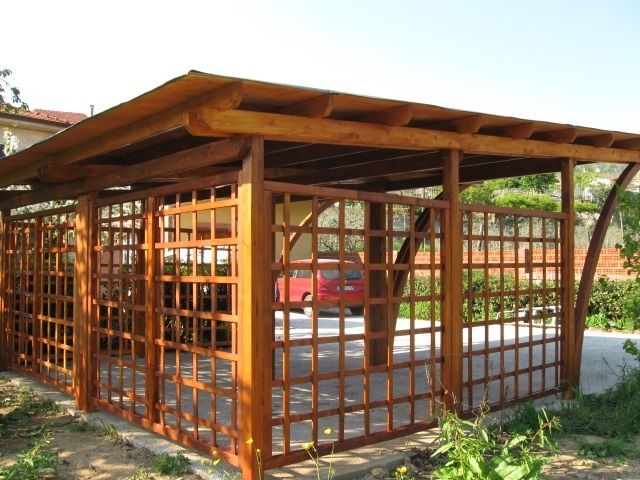 Solid timber car ports are available as a single, double or triple car size. You can also send us a plan layout for us to send you a costing.